40' fibreglass centre console fishing weapon. With twin 300hp Mercury Verados (only 300hrs approx) this beast will have you to your favourite spot in no time and in comfort. 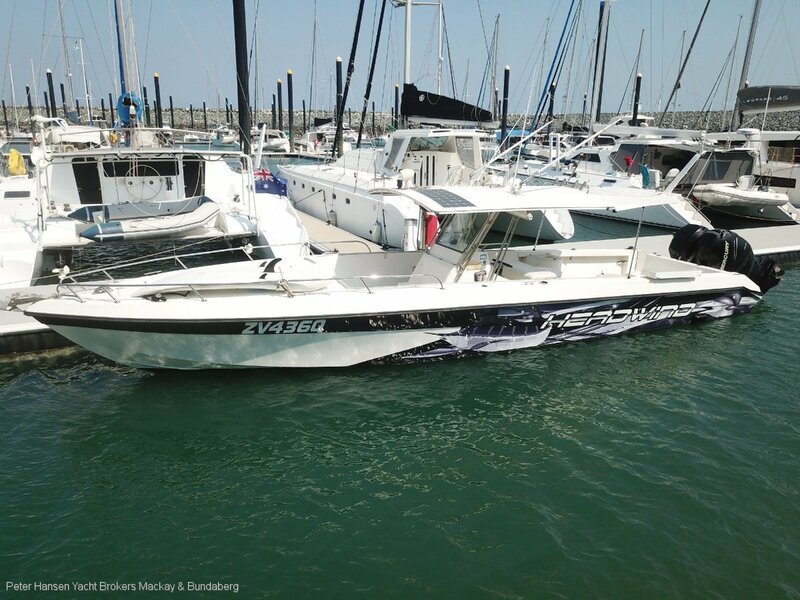 There is a comfortable sized and lockable V-Berth, toilet, fresh water, new Simrad chartplotter/sounder, VHF, Solar charging system, new Muir anchor winch and has been recently anti-fouled. If you are looking for that next step up from a trailer boat, or just looking for a fun boat for the family, then this boat would be perfect.